New Socks for well-deserving feet! 6 pack for 1 low price! Start off your next day on the right foot! 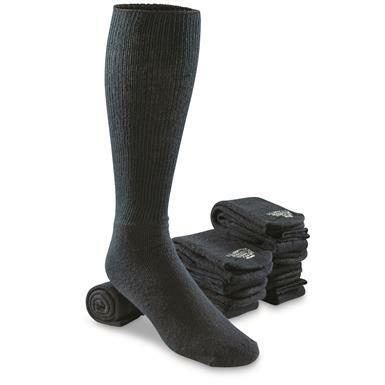 No ordinary Tube Socks, these are made to demanding U.S. military specs, as issued to Coast Guard personnel performing everything from border patrol to drug interdiction to search and rescue. Long-wearing cotton / nylon construction offers durable and easy-stretch performance. You get a pack of 6 for a surplus price! Grab your pairs right now!